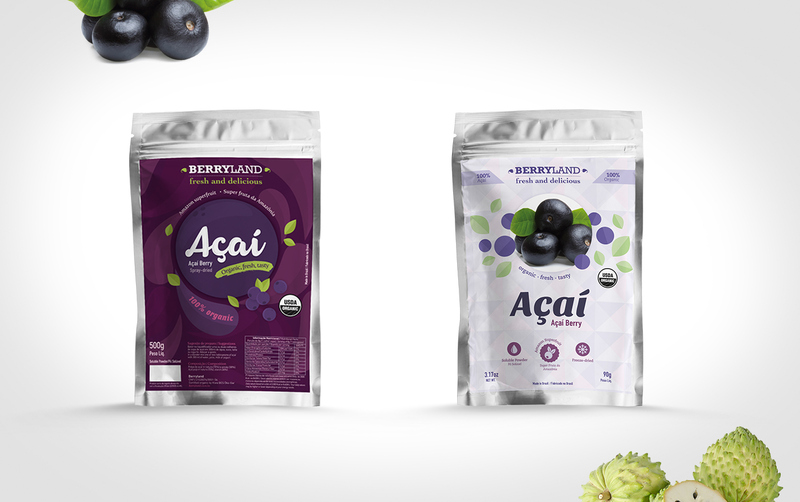 Berryland is a company that produces and exports natural foods, including freeze dried fruits. 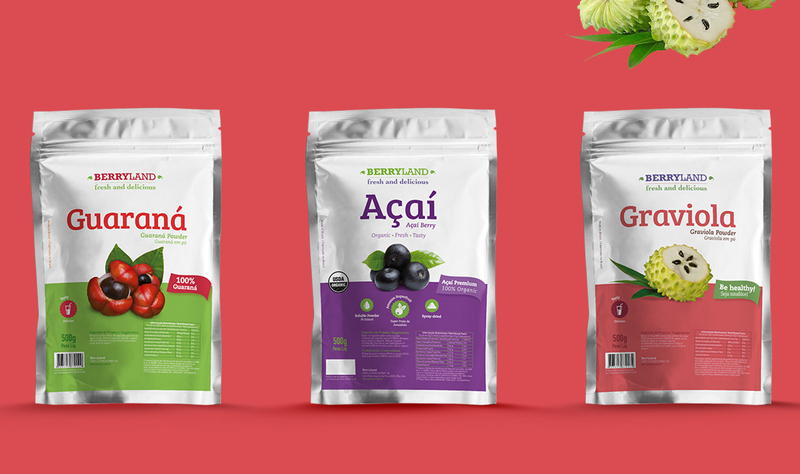 We were hired to develop Berryland´s freeze dried fruit packaging design for external market. 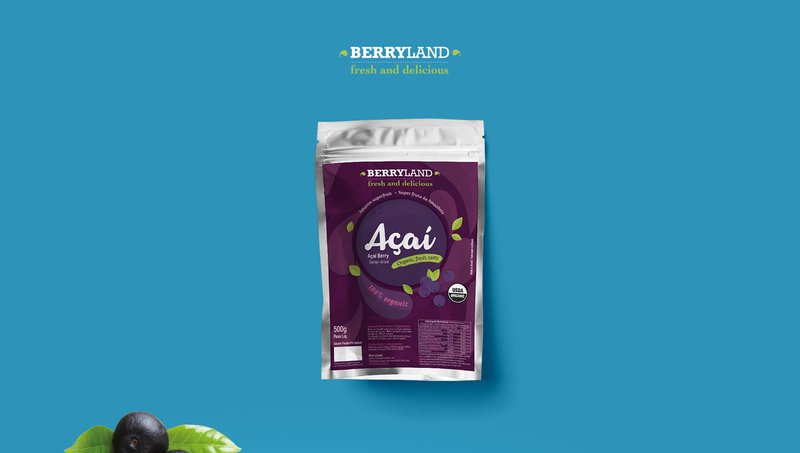 The line comprises typical tropical Brasilian fruits like açai berries, graviola and guaraná. How to reach out to consumers of different countries, cultures and preferences? Our strategie was to standardize package design using unique and strong images on the different labels of the line. The colors chosen correspond to the natural tones of the fruits. The metalized ziplock stand up pouches are easy to open and close. The product can be stored and consumed gradually, without improvised sealing solutions.